“Fidalgo e soñador”. A town of noble ideals, Cambados faces the Arousa inlet, formed by the River Ulla and the mouth of the Umia which borders the region known as Salnés. This is an inlet of spectacular sunsets, and lands that served as an inspiration for the poetry of Ramón Cabanillas. The landscape is scattered by those tall and noble vines where the grapes of the celebrated Albariño or Espadeiro wines ripen. The sun terraces of vast stone manor houses originally built as defence towers look out over paradisiacal landscapes. 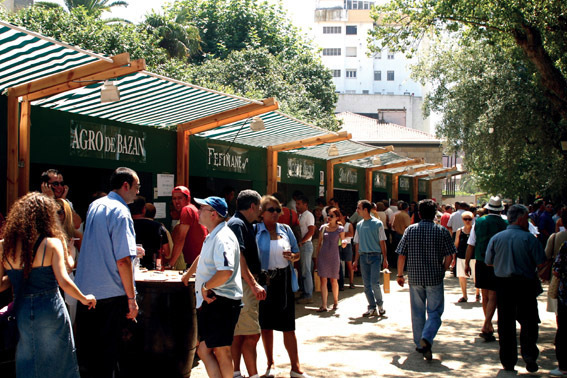 Cambados celebrates its wine festival on the first Sunday in August, and its meticulously organised wine-tasting session attracts true gourmets and connoisseurs. This is a time for extolling the delights offered by both sea and land in the very heart of the “Rías Baixas”.